Yesterday I reviewed a martial arts film from the vaults of Shaw Brothers, a studio whose work I’m only now starting to work through but today I’m revisiting one of my personal favourite martial arts movies that I watched repeatedly in my burgeoning years as a fan of the genre. 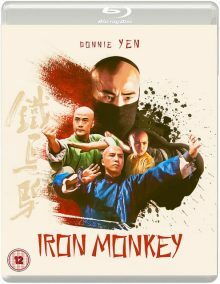 That film is Woo-Ping Yuen’s acclaimed 1993 classic Iron Monkey. I say acclaimed, but the film tanked in Hong Kong and China. It only gained respect when it reached American shores much later and managed to crack the top 10 of the US box office. Some of the interviews included in this new Blu-Ray release from Eureka claim it reached number one, but I can’t find any evidence of this. Regardless of its place in the box office rankings, the film certainly picked up some great reviews, which is rare for a straight up action movie of its type. 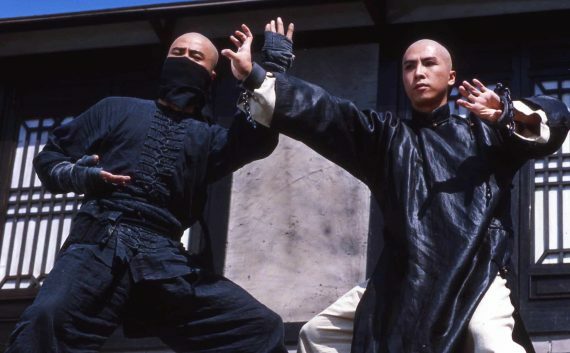 The American release was in 2001 (it was 1993 in Hong Kong) so it rode the success of Crouching Tiger, Hidden Dragon and martial arts filled US releases such as The Matrix. Those two films mentioned are linked to Iron Monkey not simply through the action scenes though. 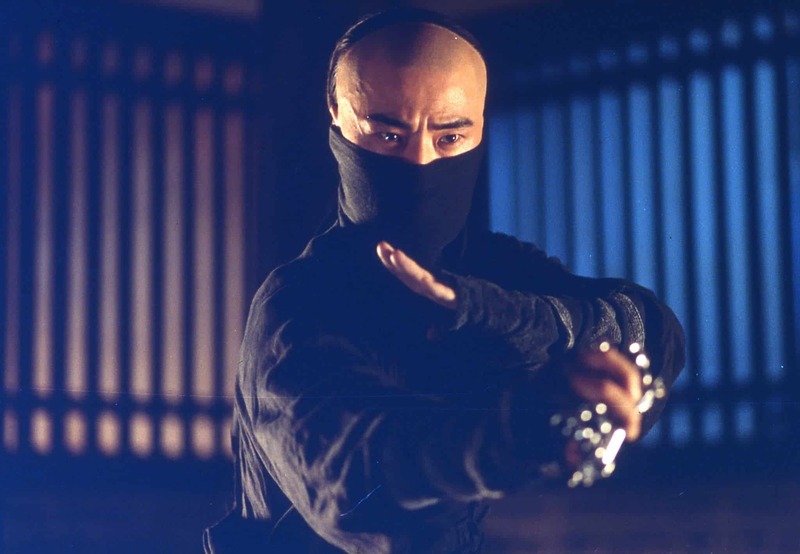 The fight choreographer on both titles was none other than Woo-Ping Yuen, the director and action director of Iron Monkey. His name cropped up in most of the big action movies of the time, from Kill Bill to Kung Fu Hustle but he’d been in the Hong Kong industry since the 60s, starting off as an actor before moving into stunt work, choreography and directing. 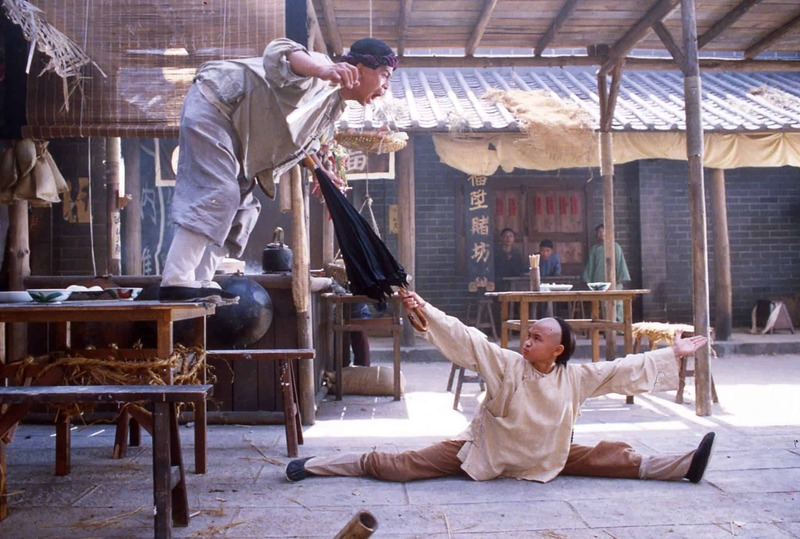 His first two features that did see him in the director’s chair were none other than Snake in the Eagle’s Shadow and Drunken Master, the films that made Jackie Chan a star, so he had a great reputation from early in his career. I believe Iron Monkey is one of his best films, although I’m huge fan of Magnificent Butcher and Drunken Master, so it’s hard to pick a favourite. As you’d imagine then, I snapped up the chance to review this new release of the action classic. Iron Monkey tells a Robin Hood story of sorts, with the titular masked character robbing from rich corrupt officials and sharing the takings among the hard-done-by villagers who are particularly suffering due to a recent flood. Governor Cheng (James Wong, who’s actually a respected composer of Hong Kong soundtracks) is not happy about his ill-gotten funds being regularly snatched so is keen to capture Iron Monkey, particularly as the region’s inspector is due to visit soon. Heading his security team is the amiable General Fox (Shun-Yee Yuen) who camps out on the rooftops at night hoping to catch the outlaw. Only the audience and the beautiful nurse (and skilled martial artist) Miss Orchid (Jean Wang) know the true identity of Iron Monkey. He is in fact Dr. Yang (Rongguang Yu), a respected local that no one would suspect of being a master thief. The authorities seem to have no hope of stopping Iron Monkey until Wong Kei-Ying (Donnie Yen) and his son, the later-to-be legendary Wong Fei-Hong (Sze-Man Tsang) come to town. Kei-Ying is captured by Fox, who thinks he could be Iron Monkey after demonstrating his considerable skills at kung-fu. When the true outlaw appears and Kei-Ying puts up a good fight, Governor Cheng decides to use him to capture his enemy. As an added ‘incentive’ though, Cheng takes Fei-Hong prisoner and gives Kei-Ying 1 week to bring him Iron Monkey or his son will remain captive. Further complicating matters, Kei-Ying crosses paths with Yang and the two form a friendship, particularly after the doctor puts up Fei-Hong when he falls ill in prison. As the deadline and visit from the inspector draws ever near, we wonder where Kei-Ying’s allegiances may lie. My synopsis possibly makes it all sound rather complicated and I can remember thinking it was slightly confusing when I first watched it. All these years later though, after not seeing it for a while, I find it a clearly told and enjoyably fast moving story that’s more than just an excuse to mount a string of fight scenes. It’s certainly more engaging than many martial arts movie plots, even if it isn’t entirely original or unpredictable. Lets not kid ourselves here though. A film like this is famous for its fight scenes and boy do these deliver. What Woo-Ping Yuen does brilliantly here is build on each set piece. The first couple of fights scenes are decent, but nothing all that exceptional. But then the next is better and the next better than that, and the next even better etc. By the finale you can’t imagine what can be done to keep you impressed, but your jaw will drop at the final showdown which culminates in a three way fight stood on tall poles standing out of a blazing inferno! The fights are clearly wire-assisted and often sped up a little, which has irked some martial arts purists, but they’re nothing less than sensational in my eyes. Due to these techniques, there’s no attempt at realism in the action, but that’s not a problem as the film sticks to its guns in this style and it only adds to the amazement of watching this hugely entertaining romp. There’s no CGI assistance, so there’s still a physical aspect to all the action, which is something many modern blockbusters have lost, to their detriment. It’s clear that most of the actors are skilled in martial arts too and it’s a joy to behold their talents on screen. 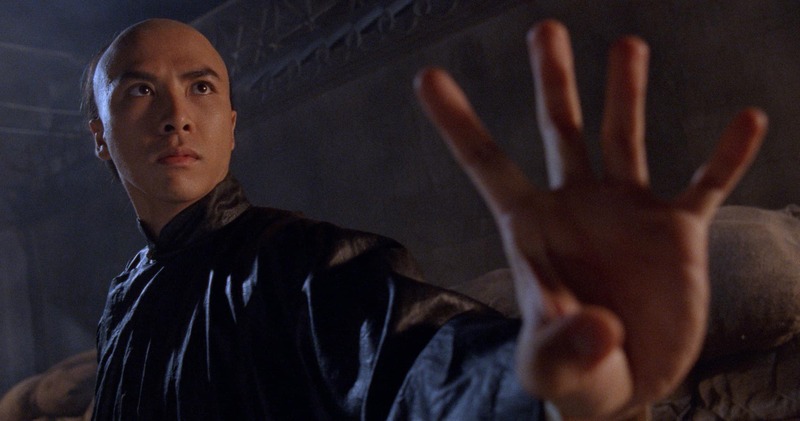 A particular standout, beyond the obvious skills of Donnie Yen, is the young Sze-Man Tsang, a teenage actress playing the role of the young boy (and Chinese folk legend) Wong Fei-Hong. She’s incredibly good, delivering some stunning moves with bags of charisma. It’s some of the smaller physical moments that really set the film ahead of the competition though. One of my favourite scenes is where Yang and Miss Orchid see their prescriptions blow around the room after a draft wafts in and proceed to use their graceful martial arts skills to pick them up before they hit the ground. It’s beautifully done and it’s the little details that impress, such as Yang giving his jacket a little flick to grab the last paper and when Miss Orchid back-kicks the stool back in place in an immeasurably cool fashion. Away from the choreography, the performances are rather broad, but that’s a given for films from Hong Kong during this era. It might take a little time to adjust to this style if you’re not accustomed to it, but there’s fun to be had in the mugging and over the top, largely dubbed line deliveries. Looking past the hamminess, there’s skill to be seen though. The relationship between Yang and Kei-Ying is particularly well handled, mixing respect with a playful rivalry (Kei-Ying is also a doctor). Yang’s relationship with Miss Orchid is sensitively portrayed too, particularly after you learn their background later on in the film. It’s a nicely shot film too. There’s a slightly low budget look to it when compared to its Western contemporaries, but this is largely due to the artificiality of the lighting which is very attractive, despite its lack of naturalism. The production design isn’t as lavish as it could be, but does the trick, with a strong use of colour to go along with the bold, stage-like lighting. You could argue that the film has its flaws and the OTT nature of it all won’t appeal to everyone, but I couldn’t care less. As an action movie it’s phenomenal. It’s constantly upping its game in the fight scenes and maintains a solid balance of drama, comedy and storytelling to keep it all flowing. It’s one of my all time favourite martial arts films and films in general for that matter, so comes with the very highest recommendation. Iron Monkey is out on 18th June on Blu-Ray in the UK, released by Eureka as part of their Eureka Classics series. The transfer is great although the higher definition image means it’s easier to spot the wires in certain shots! You get a variety of audio options, which cover all the bases. I listened to the 5.1 Cantonese track and it came through nicely. 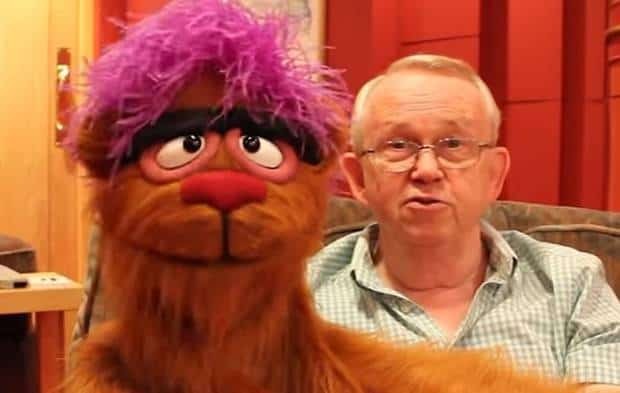 A lot of the interviews have previously been released on DVD versions of the film, so there’s not a lot of new material for double dippers, but it’s still great to have them included here again as they’re substantial and fairly engrossing. The disc is sadly missing the commentary which some previous versions featured, but plenty of ground is covered in the interviews. I enjoyed the ‘Shadow Boxing’ featurette too as it works like a simple but effective mini-masterclass in shooting and editing action sequences.